Microsoft Office is a powerful productivity suite of applications, yet it may not be the favor of many Mac users. As the presentation software in the suite, Microsoft PowerPoint for Mac could be uninstalled for different reasons. Some users may want to uninstall only PowerPoint while keep other apps like Word and Excel, but how to perform the individual uninstall properly? 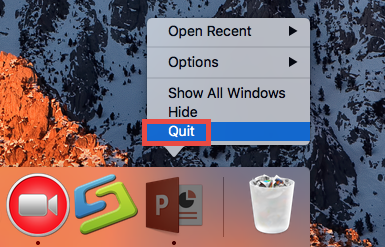 To fully uninstall Microsoft PowerPoint 2016 on Mac, you are supposed to delete both the app and any associated files. Don’t know the correct way to to uninstall Microsoft PowerPoint 2016 for Mac? 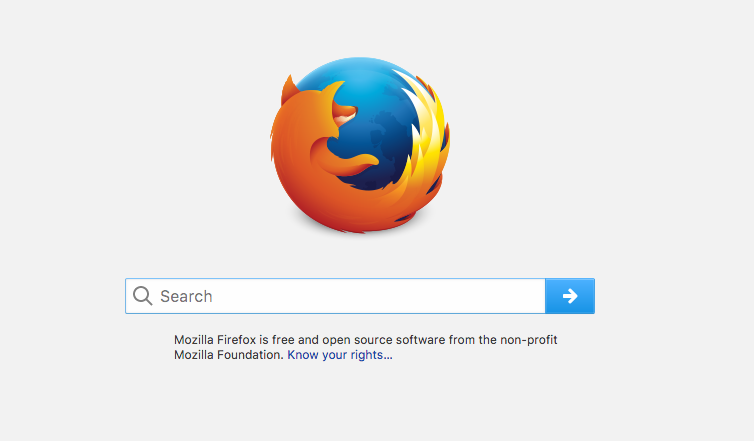 Fail to completely remove its supporting files? 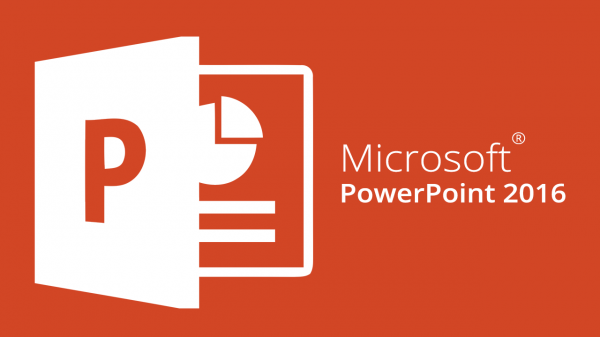 This article will demonstrate the detailed steps you can carry out to thoroughly get rid of Microsoft PowerPoint 2016. Preparation: Prior to the standard uninstall, there is one thing you need to do. If the target app is running, make sure to first quite this app from the Dock, and then you can activate Activity Monitor to deactivate associated process(es) on the background. Run Activity Monitor from Applications/Utilities folder, Spotlight or Launchpad. Locate and select the process with name of PowerPoint, click on (X), and hit Quit. 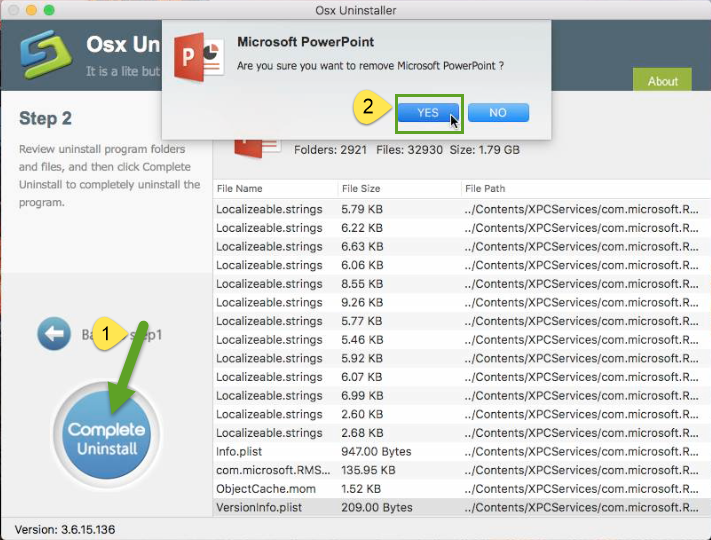 Typically, two approaches are available to uninstall unwanted apps on Mac: (1) run an effective, reputable uninstaller to complete the removal task painlessly, or (2) adopt manual method to remove Microsoft PowerPoint 2016 from your Mac computer. Step 1. 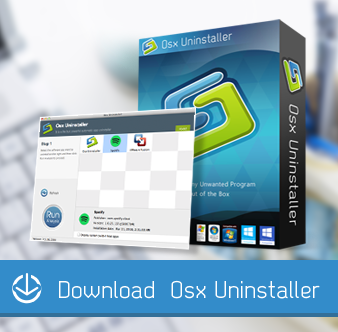 Download Osx Uninstaller and drag its icon to the Application folder. Step 2. 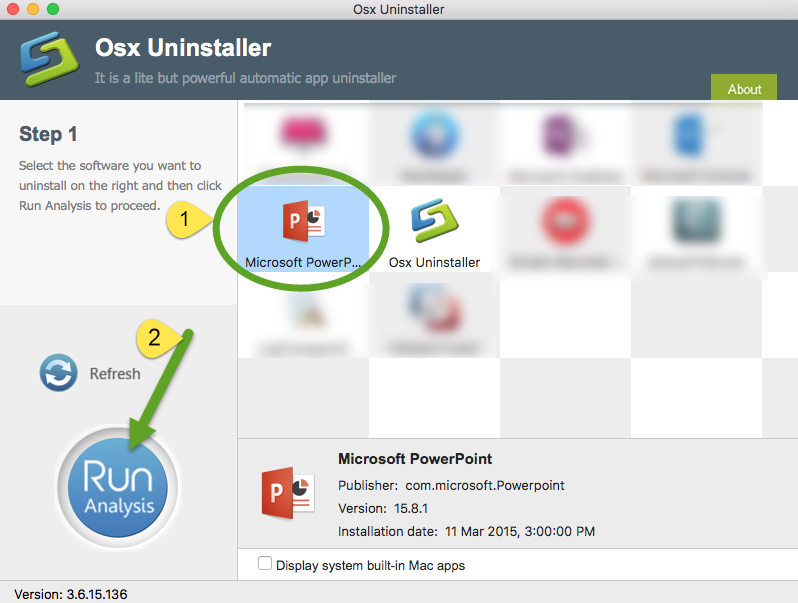 Run Osx Uninstaller, select Microsoft PowerPoint and click Run Analysis. Step 3. As all the items pertaining to Microsoft PowerPoint are scanned out and listed, tap Complete Uninstall, and then click Yes to conduct a thorough removal. Step 4. Click on Back to Interface to re-scan your Mac for currently installed apps. That’s all. Now you should have successfully uninstalled Microsoft PowerPoint 2016 from Mac. The whole process lasts less than one minute to complete. Incredibly straightforward. Osx Uninstaller is highly recommended for both Mac novices and experienced users. 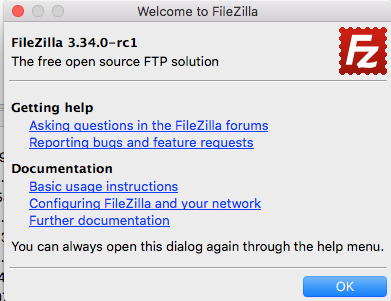 Anytime you run into uninstall issues, don’ hesitate to give it a try. 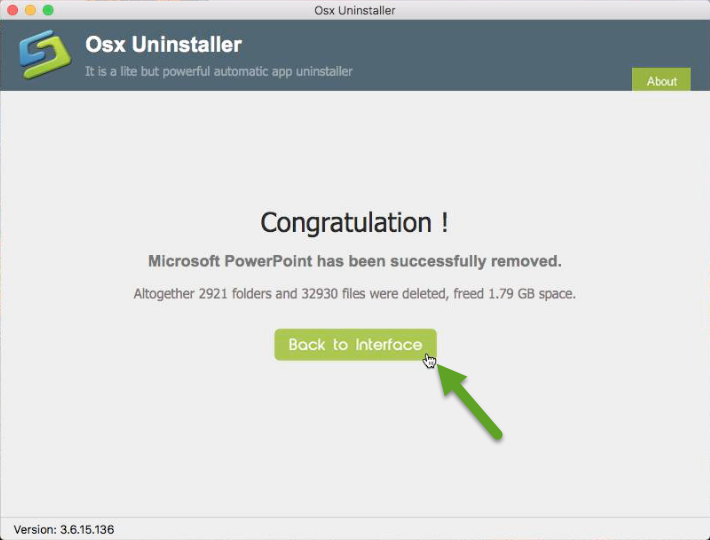 Decide to uninstall Microsoft PowerPoint 2016 without the help of Osx Uninstaller? 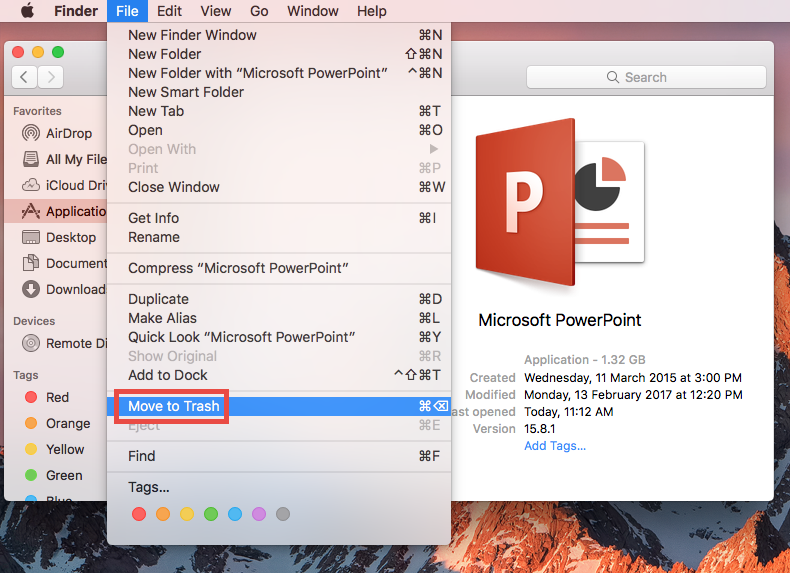 You can carry out the manual steps below to uninstall Microsoft PowerPoint 2016 from macOS. You are supposed to sign in as an administrator on your Mac, or you will be prompted to provide the administrator password during the uninstall process. As mentioned before, you should quit the app before uninstalling it, otherwise error message might pop up to interrupt the process, or incomplete uninstall happens. 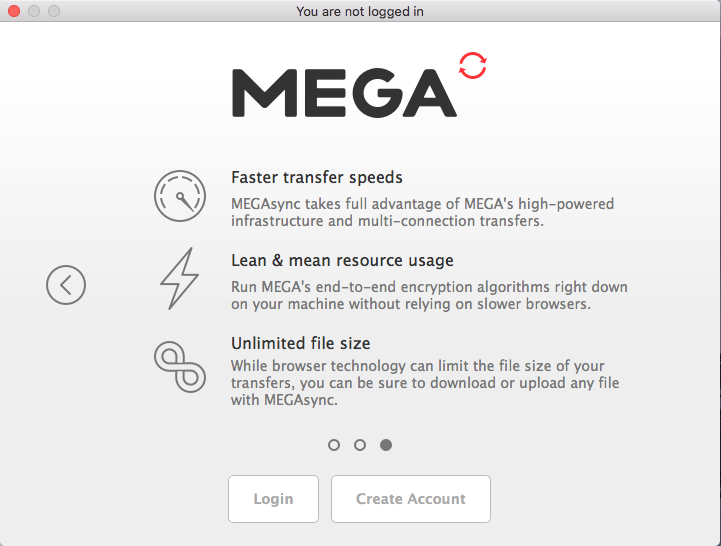 Open the Finder and head to the Applications folder from the left panel. Select the Microsoft PowerPoint icon and drag it with your mouse to the Trash. If prompted, enter your account password to execute this change. The drag-to-delete method works for almost all apps in all versions of Mac OS X. You can also move the app to Trash by these options: (1) right click on the app and choose Move to Trash option; (2) select the app, and go to File > Move to Trash. Generally the app will be removed instantly from sight and appear in the Trash. You will need to empty the Trash to perform the uninstall (we will talk about it later). If you cannot move the app to the Trash, reboot your Mac and then uninstall it again. Alternative: There is another uninstall way for the apps that are downloaded and installed via the App Store. 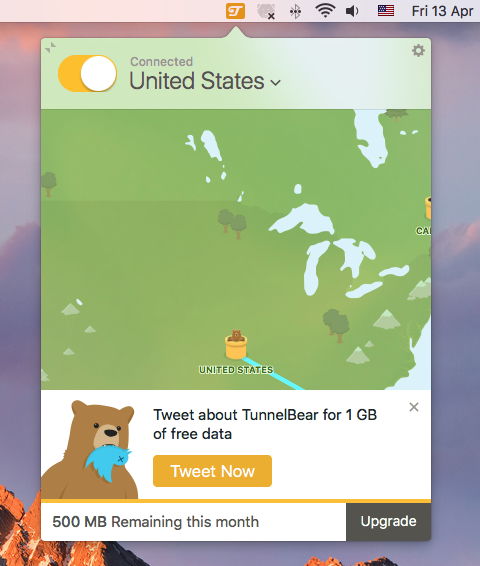 Here’s how to uninstall an app from the Launchpad. 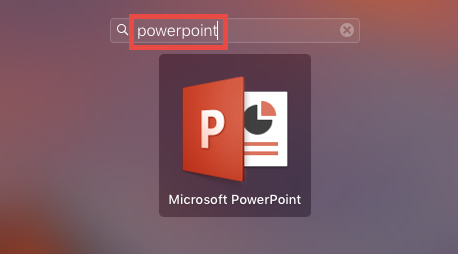 Head to Launchpad, and type Microsoft PowerPoint in the search box. Click and hold Microsoft PowerPoint until it begins to wiggle and shows “X” . Tap the “X” in the left top corner, and then click Delete in the pop-up dialog. Once you click the X icon, the app will be uninstalled instantly from your Mac, and that means you will not need to empty the Trash to conduct the uninstallation. This method works if you install Microsoft PowerPoint 2016 via App Store. Though Microsoft PowerPoint 2016 has been uninstalled, many of its invalid files are still remains on the User Library inside Home Folder. To carry out complete removal and free up disk space, you’d better detect those remnants and then delete them all. Type Microsoft PowerPoint in search box, and click the Library in the Search: bar. Identify the matched items, right click on them all and choose Move to Trash option. Repeat the steps to detect and delete (if any) component in the ~Library folder. Mac novice users are not suggested to manually detect app leftovers by this way. If other app components are deleted mistakenly, it could not work normally, not to mention that you may not be able to fully detect all leftovers pertaining to target app. 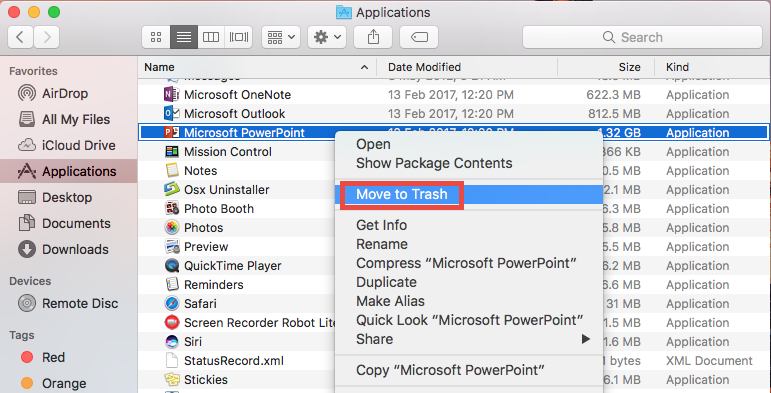 After delete Microsoft PowerPoint 2016 and its leftovers, you can empty the Trash to permanently get rid of this app. Important: the act of emptying the Trash is irrevocable, and everything dropped in the Trash will be deleted from the system immediately. Make sure you haven’t mistakenly delete anything there. 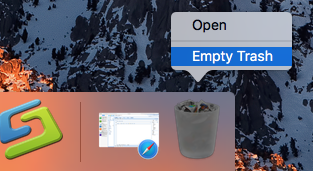 Alternatively, you can empty the Trash by choosing the Empty Trash under the Finder menu. In case you cannot empty the Trash, reboot your Mac and do it again. If you change your mind about deleting the item, you can right click on the items in the Trash and choose Put Back option, on the condition that Trash is not emptied yet. Thanks for reading this post Completely Uninstall Microsoft PowerPoint 2016 for Mac. If you have troubles during the manual unisntall of Microsoft PowerPoint 2016, just turn to Osx Uninstaller and let it resolve the issues without causing any hassle. Any comment or suggestion on this post? Welcome to share your thoughts with us.